The Rescue Wedge is a multi-purpose tool adopted in the fire service making a firefighter's job more efficient. It works as a spanner wrench, a simple door chock, a bail-out anchor point, a fulcrum, a gap set force assist and a wedge. CREATED BY TEXAS FIREFIGHTERS, JARED FORD AND WESLeY PORTER, THE RESCUE WEDGE SERVES AS THEIR CONTRIBUTION TO THE SAFETY AND EFFECTIVENESS OF FIREFIGHTERS WORLDWIDE. The wedge has been a tool used by firefighters for years. While in firefighter rookie school we made wedges out of wood, but once the core was carved out, the wedge became too fragile. I began researching different metals and creating different styled wedges with the tools in my garage. I would create crude designs of the wedge, customize them through an etching process and then give them as gifts to firefighters in my department. Early in my firefighting career, I attended a seminar led by a fellow firefighter. His speech to the audience asked the question, "What will be your contribution to the fire service?" Moved by this speech I knew that I didn't want the fire service to just be a career stopping point. I wanted to contribute and give back to the fire service. The Rescue Wedge was developed so that firefighters had a reliable, multi-purpose tool that could be used by firefighters for years to come. I introduced the wedge to Porter, who helped finalize the design, including branding and testing it in training to ensure it would be useful and effective. It quickly went from a plain wooden door wedge to a multi-purpose tool, called The Rescue Wedge. "I would recommend The Rescue Wedge to all firefighters in the field and training officers at academies." 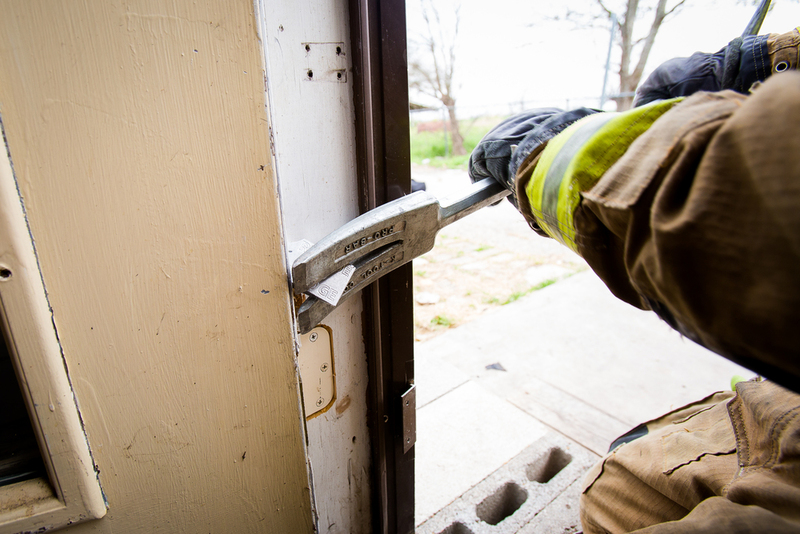 If more leverage is required when forcing an object, place the Rescue Wedge between the door and the Halligan. It can also be used to add extra space to access hard-to-reach areas. 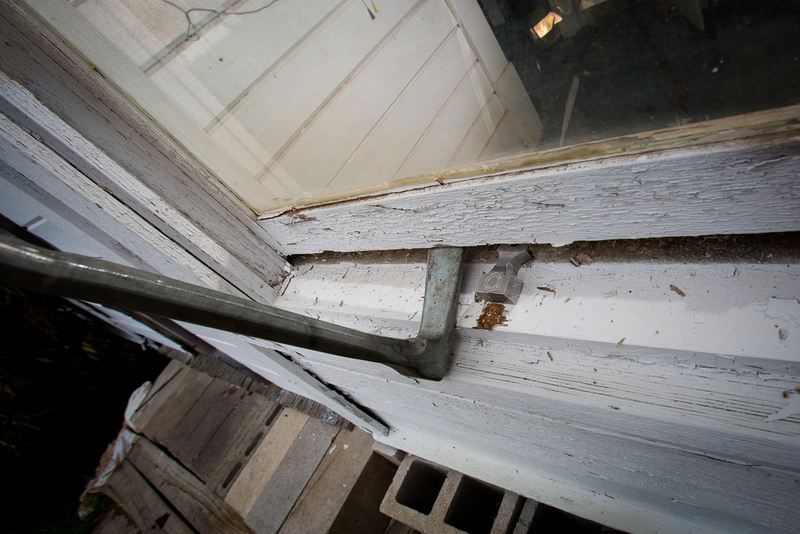 When headway is made in forcing a door but a new bite is needed, use The Rescue Wedge to capture progress before repositioning your tool. 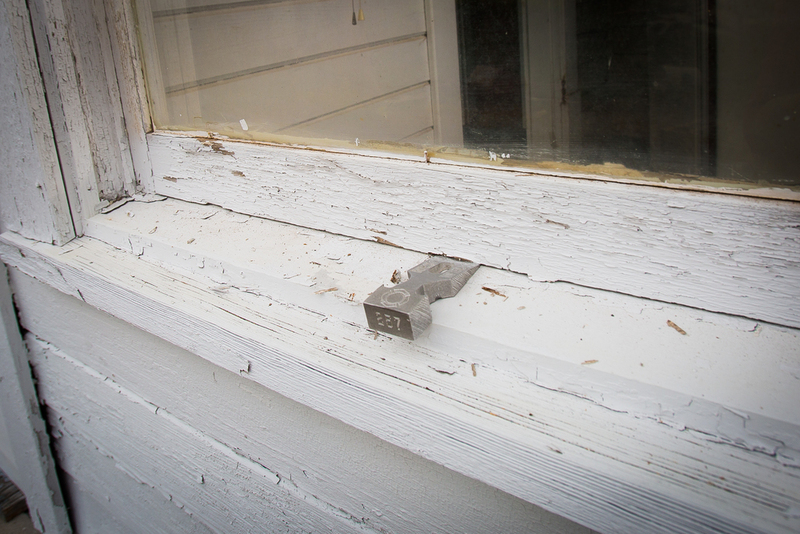 It is used in a similar manner to capture space made in a window when unlocking a car. 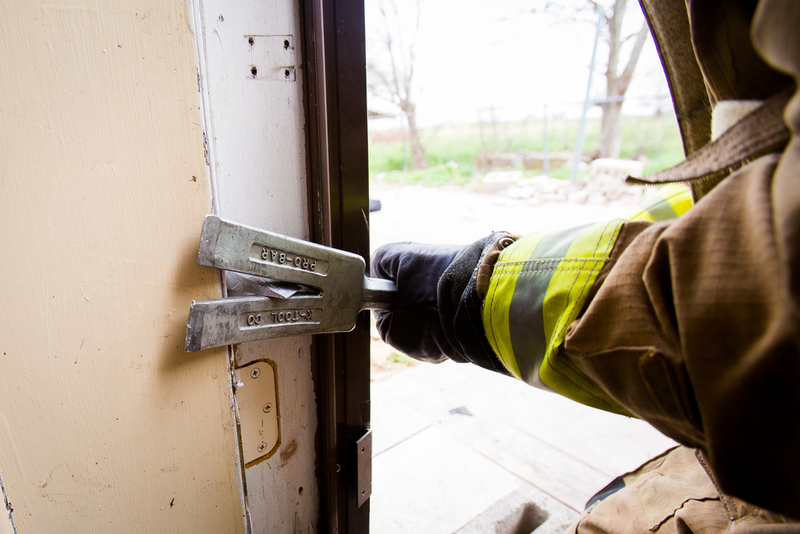 The notches on the sides of the wedge allow you to place The Rescue Wedge in between the door and frame to prevent the door from closing on your fire hose. Having knowledge of fire behavior and VES is advised. The Rescue Wedge's design allows for placement between the door and frame, but it also acts as a spanner wrench when uncoupling hoses. 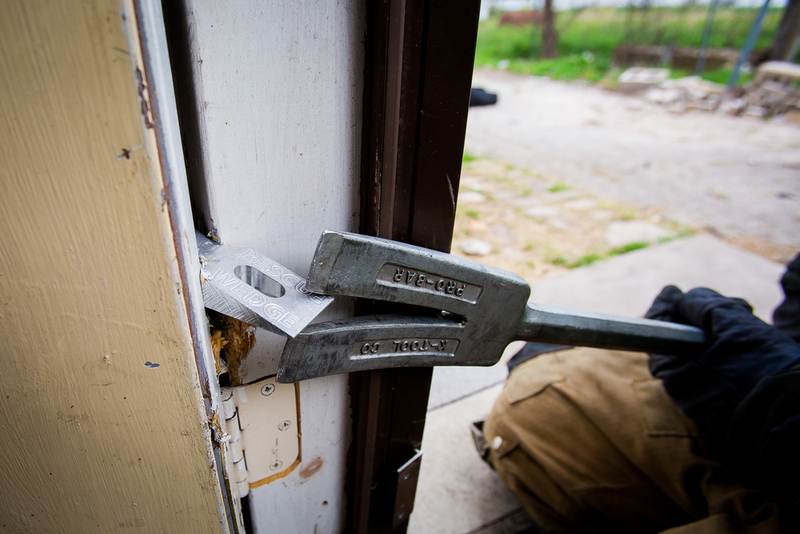 The Rescue Wedge helps stabilize the Halligan tool during a one-man forcible entry. It is placed in the forks of the Halligan and against the door. 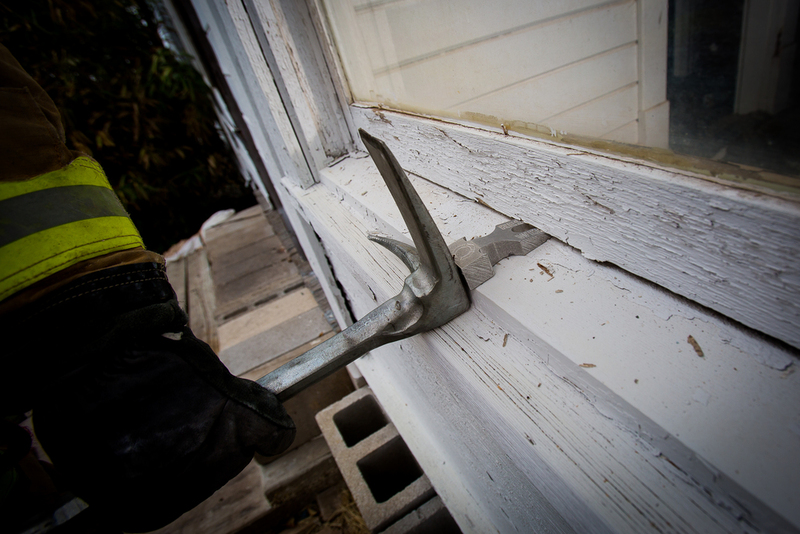 The NY hook is used to strike the Halligan, driving the adz end between the door and frame.